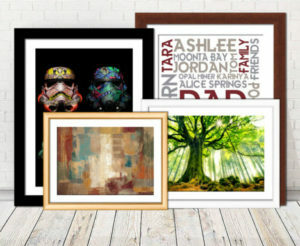 We offer a number of different products on this website, our objective is to offer every type of art style that our customers want, ranging from panoramic to landscape layouts through to the following media options. What is a Stretched Canvas Print? A stretched canvas print is a type of artwork that involves printing designs onto canvas, then stretched the canvas over a wooden frame, the design/ photo is often wrapped around the edges of the frame as well as the front. 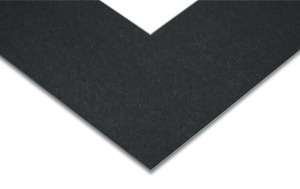 Blue Horizon Prints only use the best quality canvas, we use a 100% cotton 390gsm textured canvas. We only use the best quality canvas with our canvases being carefully selected and imported to provide the best surface for our prints. 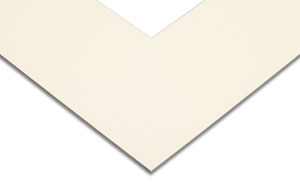 The 100% cotton canvas is of the very highest quality and made to last. The 100% cotton gives the canvas a nice texture and what is often described as ‘personality’ that helps the colours to jump out when people think of canvas 100% cotton is what they normally think of, most paintings in galleries are cotton canvas. The downfall of cotton is that there is a slight variation between each print in terms of shade and colours however we think this adds character to each artwork and the canvas ALWAYS looks great! The Poly-Cotton canvas is said to last longer (70 years instead of 60!) and is a little thicker and heavier at 430gsm, it has a much smoother texture but some printers prefer it as its cheaper and also more consistent is getting exactly the same tones. We prefer the texture and authentic look of the cotton and use it as the default but will happily print on either according to our customer’s preference. Canvas is measured in GSM, which stands for grams per square metre. The rule of thumb is the higher the GSM, the better the quality as it means you get thicker, more durable canvas that can absorb more ink and laminate. While many department stores and other providers print anything down to 150gsm, here at Blue Horizon Prints we offer our customers nothing less than 390 GSM and often up to 430gsm! Ask other providers if they offer that! We print on the premium quality, award-winning fine art paper made of 100% cotton then mount the print onto a thick Australian made wooden frame; we offer a choice of a white or black frame or mahogany. The wooden frame is 30mm thick. Other frame options are available on request such as the gold frame etc. We make all the wooden frames in our Noosa, Queensland studio, each artwork is printed, framed, quality checked, carefully packaged then delivered ready to hang on the wall with all fittings. We use a premium grade acrylic as opposed to glass for the framed prints, it looks as good as glass but ensures the art lasts longer and can be easily shipped. We also offer 4 Mat colour options, white, black or cream plus other option of no mat meaning the image runs all the way to the edge of the frame. Please note that for the XL Framed prints there is no Mat as the mats aren’t made in these sizes. What is a Rolled Canvas? A rolled or un-stretched canvas is just the printed canvas without the wooden frame, it is delivered rolled ready to be framed your a local framer or draped as it is without a frame. Most people order rolled canvas prints for ease when moving them long distances for example overseas. 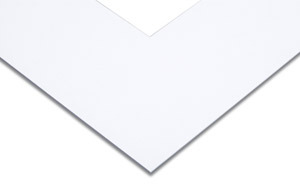 What is a Lustre Paper Print Lustre paper is a nice option if you’d like to frame the artwork yourself at home, we use 260gsm, high quality photo lustre paper, its ideal for printing photographs on with a nice satin finish. 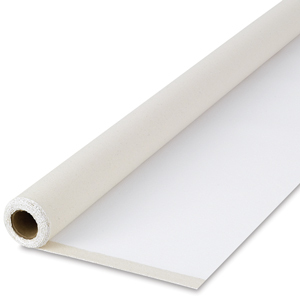 Photo papers have more definition than matt or art papers due to the coating which enhances the image. What is a Floating Frame? 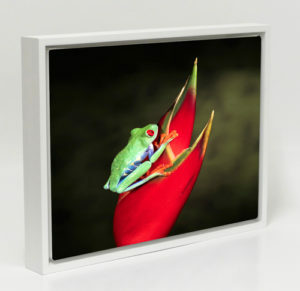 Floating frames or otherwise known as ‘Floater frames’ are a type of picture frame that is intended for use with a stretched canvas print. The canvas print is placed inside the floating frame, which adds a nice framing effect to the canvas print, effectively combining the ‘gallery wrap’ effect of the canvas with a nice framing effect. 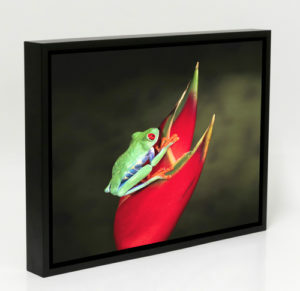 Have a look at the picture to see what we mean, the frog stretched canvas print is inside a black floating frame. The canvas print effectively ‘floats’ within the wooden frame.